One of the Game Gear's earliest RPG titles, Crystal Warriors tries to cherry-pick the best elements of genre classics like Fire Emblem and Shining Force while throwing its own element-driven combat system into the mix, along with the ability to tame monsters and use them in battle. Despite these attempts to do something fresh and original, it never manages to reach the heights of the titles it seeks to emulate. The story revolves around Princess Iris, who embarks on a quest to reclaim three elemental crystals which have been pilfered by the malevolent Emperor Grynn and his Jyn Army. 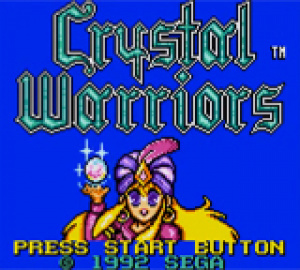 Oddly for a game of this type, Crystal Warriors is almost entirely devoid of storytelling — there's a brief intro which sets the scene and you occasionally speak to NPCs who mutter superfluous comments about the state of the war, but on the whole you're left to fill in the gaps for yourself. Each battle — or “round" as the game describes them — begins and ends with no plotting whatsoever, which removes any real sense of progression. With no motivation or justification to enter the next fight, your interest quickly wanes. The lack of story also renders the characters in Crystal Warriors totally irrelevant. They never get to speak and therefore have no personality, so you don't really care whether they live or die in battle. 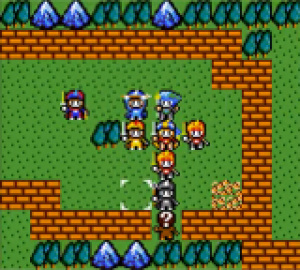 Like Fire Emblem, Crystal Warriors features permadeath, so once a unit falls, they're gone for good. You can recruit additional units in-between battles, but you can only take nine soldiers onto the field with you. Combat is arguably Crystal Warriors' strong suit. Unlike other strategy RPGs, participants get to strike twice during a combat round, regardless of whether they initiated the attack or not. Therefore, you need to be aware that even when it's your turn, your enemy can still inflict potentially fatal damage on your units. Likewise, when your opponent's turn comes around, there's always a good chance one of your units will land the killer blow. The exceptions to this system are magic users, who can attack from distance and not receive any retaliation from their target. However, they can only attack once when casting an offensive spell, and should they be adjacent to their enemy, they will receive an attack in return. Every unit in Crystal Warriors is imbued with the power of one of the four main elements: Fire, Water, Wind and Earth. A "rock, paper scissors" system is employed which means certain elements are strong against others. Annoyingly, you have to cast a “Scan" spell on an enemy to learn which element they are attuned to, and this slows down the pace of combat needlessly. It's not just the Jyn Army you'll be coming to blows with in Crystal Warriors — you'll also duke it out with the various monsters which stalk the land of Ariel. Your warrior units can tame these beasts once they are beaten in combat, and then use them in subsequent battles. This way, you can overcome elemental weaknesses by using a monster which boasts a stronger element than your target. The trade-off is that monsters have low health, and can't be solely relied on for victory. With the element system in place, combat in Crystal Warriors is actually a lot deeper than it initially appears — although the crude nature of the game engine throws up some serious issues. For example, there's no cancel command, so once you've moved a character to a new location you can't start the process over, as is the case in Shining Force. You're committed to the move, even if you realise you've accidentally put a weak magic user right next to a burly enemy knight. Likewise, once you've selected an action — be it Battle or Magic — but not yet picked a target, you can't change your mind. This might seem like a churlish criticism, but in a strategy RPG there are moments when you ideally want the ability to reconsider your course of action — Crystal Warriors offers no such flexibility. The original Game Gear version offered the chance to play against a friend using a link cable, and it's pleasing to see that this two-player option has been retained for this release, albeit over a local wireless connection. Battles against a human opponent are much more fun than those played with the AI rival. Taking into account its age, Crystal Warriors can be forgiven for looking a little rough around the edges. The visuals are incredibly basic and the characters themselves look goofy, especially during combat, where your enemy's eyeballs pop out when you strike them. However, the Japan-only sequel Royal Stone looks a million times better than this, as do the three Game Gear Shining Force instalments. The music is also intensely irritating and repetitive. Crystal Warriors has some neat ideas — such as using elements to decide battles and unleashing the power of tamed monsters in order to turn the tide in your favour — but the absence of story and some seriously clunky controls make this a difficult quest to enjoy. Aside from Princess Iris, the rest of your army are total blanks, and it's when playing games like Crystal Warriors that you come to appreciate the deep characterisation of titles such as Fire Emblem: Awakening. 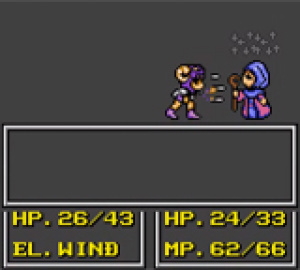 While a great many RPGs from the early '90s remain astonishingly playable even today, Crystal Warriors is an example of a relic from the past which really deserves to stay there. As with any retro title, if you had a fondness for this back when your got your shiny new Game Gear then you may well discover that nostalgia is enough to paper over the cracks, but for newcomers this simply isn't worth the effort — not when there are better examples already available on the 3DS Virtual Console. It was the ONLY game ive ever played on a real GameGear and i had long forgotten what is actually was. After i saw its release on the VC, i instantly bought it just out of nostalgia but sadly, didnt have the time to play it lately. This...sounds more like Advanced Wars or Warsong than Fire Emblem. And that can only be a good thing. Should I be in the mood for a cheap, no frills strategy game, this doesn't sound like a such a bad option. @RevolverLink Shining Force would also have you covered, if you don't already have it. I'm loving that game! So this game has permadeath? Not getting it then. I was considering this based on the description on the eshop. 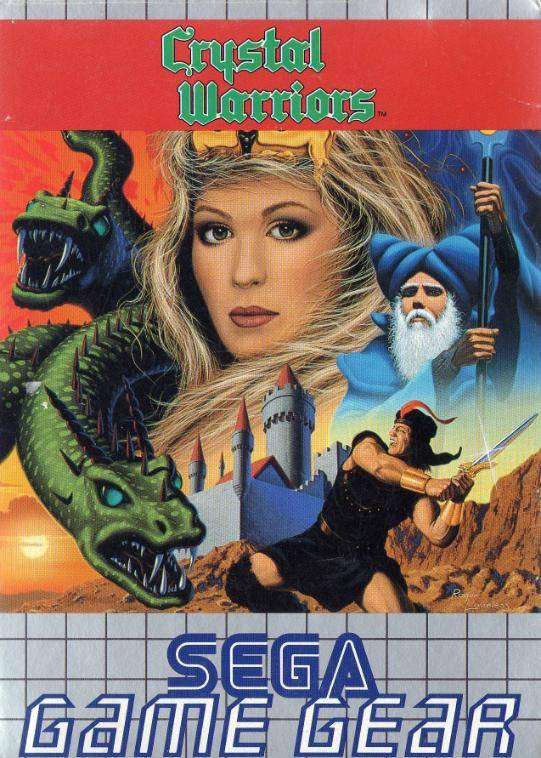 I guess I'll download shining force instead if I feel like some strategy RPGs gaming. 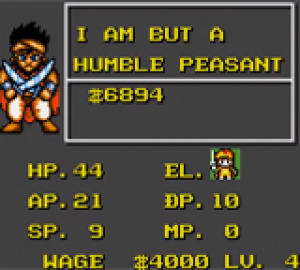 @TonLoco yeah,i feel the same way,shining force is pretty cheap! What's with the excessive usage of — in all of your articles? Seems like commas would be the more appropriate things to use, wouldn't they?